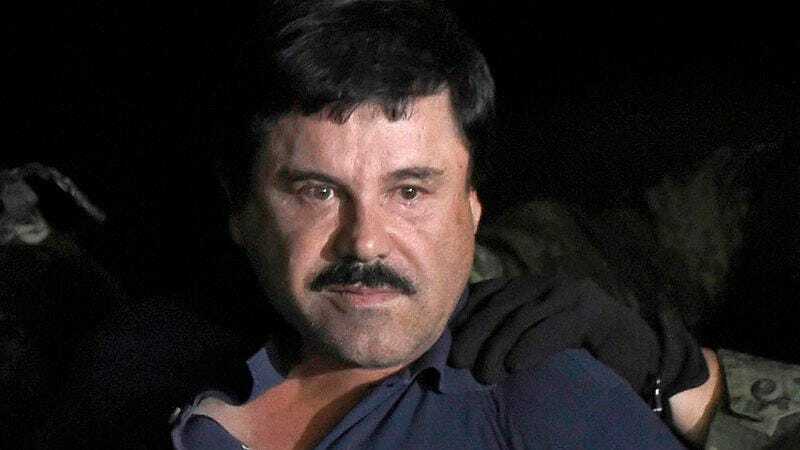 The story of Joaquín “El Chapo” Guzmán has enthralled the world since the drug kingpin escaped from a Mexican prison via an underground tunnel and then got recaptured back in January. Part of the reason for all of this interest is that El Chapo gave a top-secret interview to Sean Penn right before he got caught, and also that while he was on the loose he reportedly ordered his lackeys to actively try to convince people in Hollywood to make a movie about his life. Unfortunately for El Chapo, though, drug kingpins don’t have as much sway in Hollywood as they used to, so he’s not going to be getting the star-studded biopic of his dreams. Instead, he’ll just have to settle for getting multiple TV shows about his life. History has been developing a series with Narcos showrunner Chris Brancato called #Cartel that centers on El Chapo’s story, and now The Hollywood Reporter says that Netflix is working on an El Chapo show as well. Appropriately titled El Chapo, Netflix’s series will be co-produced by Univision, and new episodes will be available for streaming on Netflix in the U.S. after first airing on the UniMás network—though it’s unclear if it’ll be a weekly thing or if the whole show will hit Netflix once the finale airs on TV. Either way, El Chapo is set to premiere in 2017.